XnView MP is a rather powerdul tool that gives you a look at all of the metadata associated with an image. If you have ever opened the Get Info area of an image on your Mac, for example, you may have noticed a "More Info" area that shows you quite a bit of information about that image including the Camera Model, Focal length, and even the F-stop used to capture the image. You also might be wondering, "Where did all of that data come from?". That data was actually captured by the camera and is known as EXIF data. EXIF stands for the mysteriously named "EXchangeable Image File Format". What it does is to allow your camera to store certain information within your photos. This information is known as "metadata" and can include things like the date and time the shot was taken, camera settings like shutter speed and focal length, and copyright information. This is really useful information because it gives you a record of your camera settings for each shot you take. So how does this metadata get created? In very simple terms the camera manufacturers build this capability into their digital cameras. 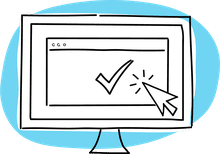 This is also the data the companies that supply imaging applications such as Adobe Lightroom, Adobe Photoshop, and Adobe Bridge, access to allow you to sort and search your image libraries based upon that EXIF data. A neat aspect of this feature is it lets you edit the metadata. For example, you may want to add a copyright notice or remove location information for privacy purposes. Another common use is a rating system for your photos. This all gets tossed into the EXIF data. For those of you that are "Power Users" the information in the "More info" area is pretty sparse. The various operating systems allow you to edit certain EXIF properties but don't list every tag. If you want full access to that data you could use XnViewMP. XnViewMP is available as a free download and there are versions for OSX, Windows, and Linux. The original version of the application was the Windows-only XnView. It has since been rewritten and released as XnViewMP. Though we will be talking about the ExIF feature of the application it can be used as a file browser, organizer, and even a basic editor. What makes this application standout is the fact it can render over 500 imaging formats. 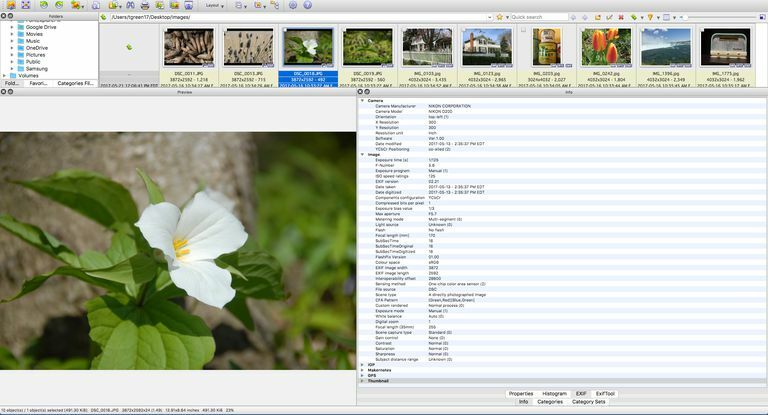 XnViewMP makes it easy to see the EXIF metadata stored in your digital photos. This data is inserted by the digital camera and includes information such as camera settings used for the shot, camera model, camera orientation, resolution, color space, date taken, GPS location, and more. While many programs only show you a small amount of EXIF information, XnView shows you a great deal of it. If you want to see all metadata stored in your camera files, a dedicated metadata viewer is your best option. From the browser view or the open view, click a thumbnail. This will open the image in a preview window and open the Info panel. To view the EXIF data associated with the image click the EXIF button at the bottom of the Info panel.